Mother’s Day is just around the corner so it’s time to start thinking of the perfect gift for your mama. 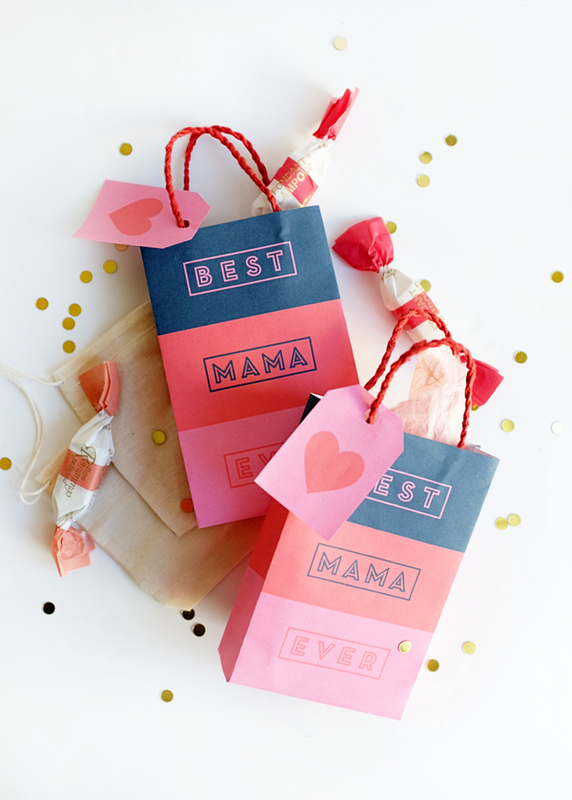 Mother’s Day gift bags are a great way to wrap up any small gifts you want to give your special lady. 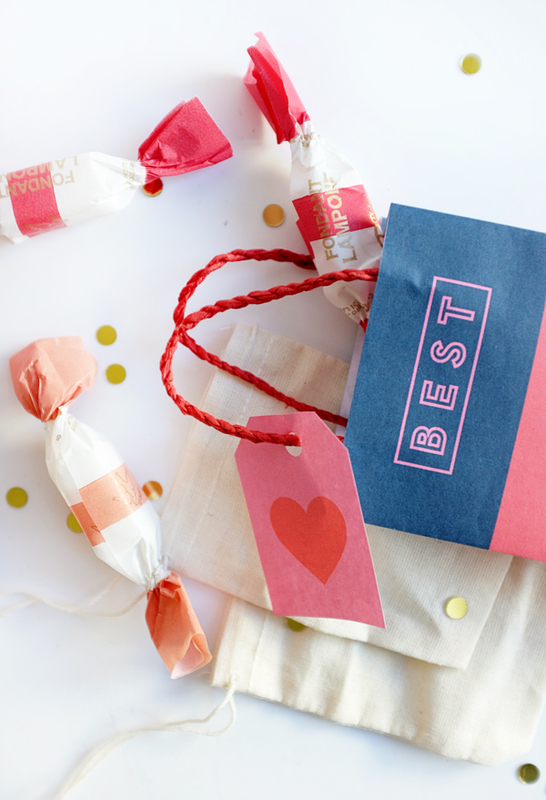 These colorful bags are easy to make and will certainly impress you mom. Sometimes the best things come in small packages. 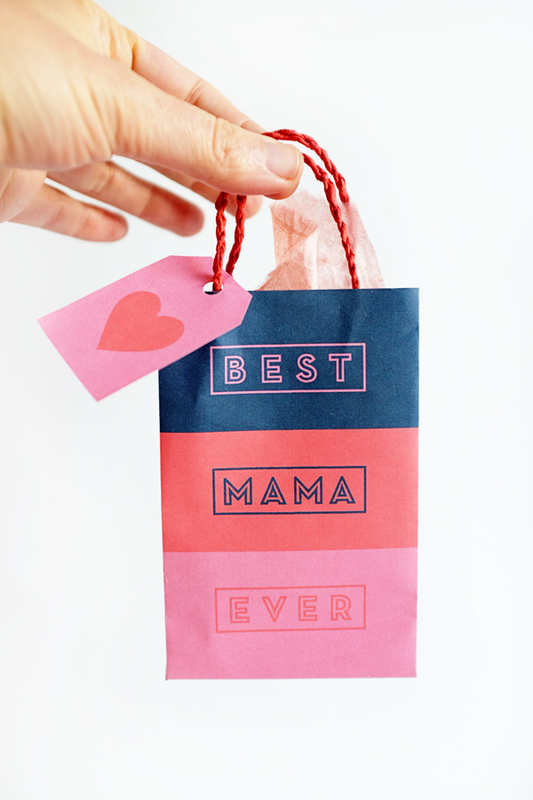 Step 1: Print out the Printable Mother’s Day Gift Bag on 8.5×11 white paper. Using the ruler and bone folder, score all of the indicated fold lines on the bag. 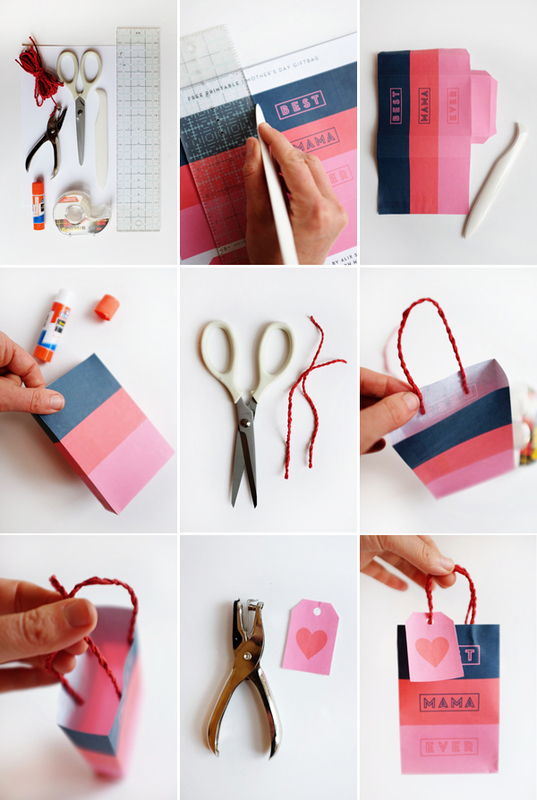 Step 2: Cut the bag and heart tag out with scissors and fold the bag along the scored lines using the bone folder. Step 3: Put glue on the bottom and side tabs and fit treat bag together. You can use the bone folder to press glued tabs to the sides of the bag from the interior (see photo for detail). Step 4: Cut out 2 pieces of string or ribbon of equal length. Tape into the interior of the bag as pictured. Step 5: Make a hole in the heart tag using a hole punch. Fit the tag over one front handle (you may have to re-tape the handle or just wait to put the tag on first before taping down. 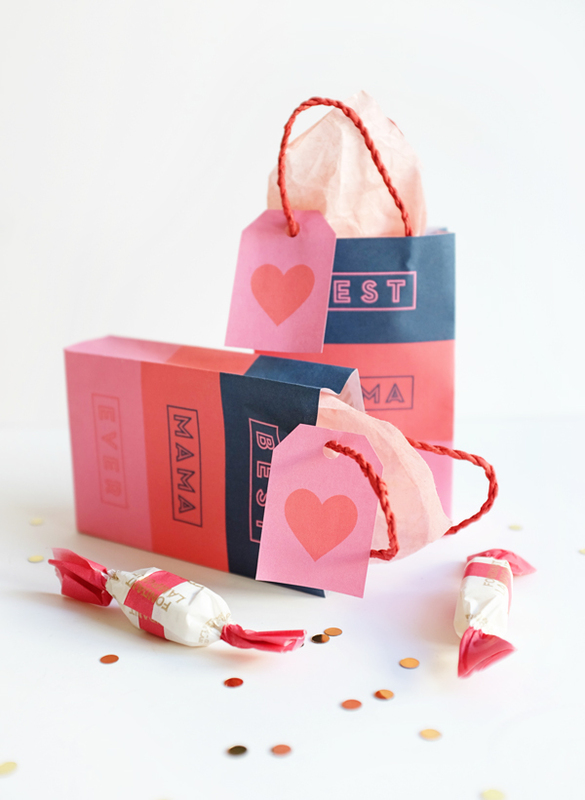 Step 6: Wrap up some goodies for your mama and put them in the gift bag. So cute! I love the colour scheme! 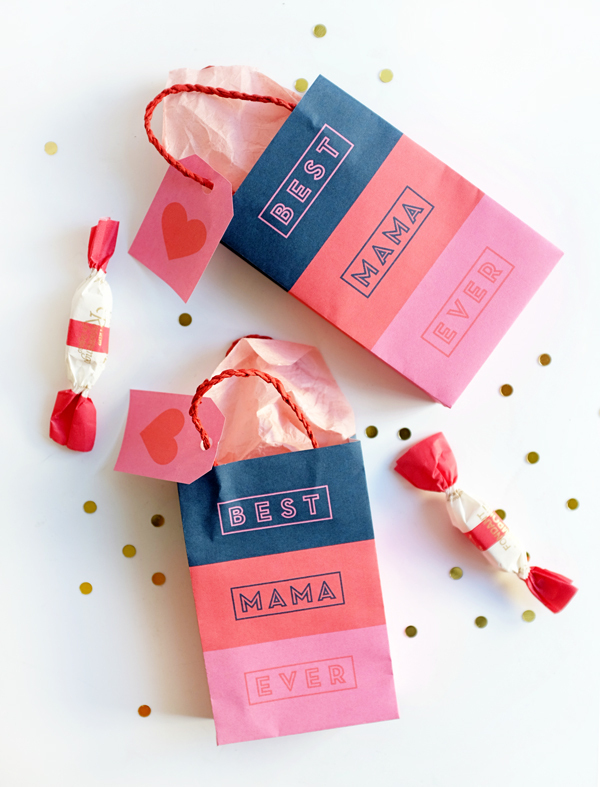 No need to look any further for the perfect Mother’s Day packaging! Our mom is gonna love this special touch to her gift. Thanks for sharing! What a sweet, personalized way to thank mom!